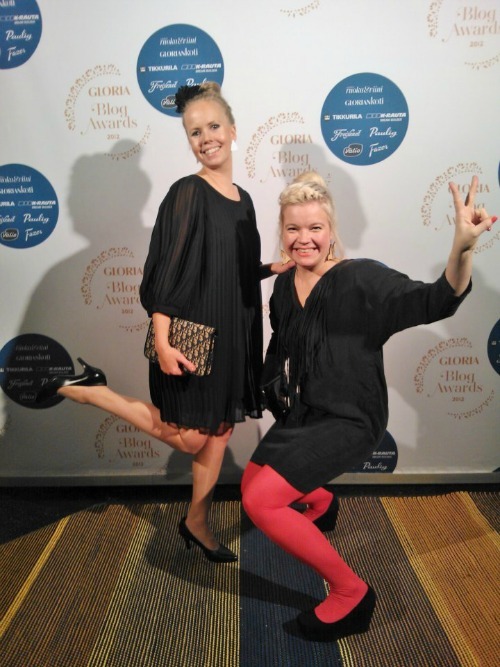 Last Friday I was honored to be in the company of lovely women, Gloria Blog Awards in Helsinki. The nominees consisted of interior design and food blogs, and the best and the most beautiful were awarded. It was fun to celebrate them and be in the company of all those wonderful bloggers. The company was good indeed, as Riikka from Weekday Carnival won the award for the most beautiful interior design blog and the Rilla from Kotipalapeli won the readers’ favorite interior design blog award. It was also great to meet new blog friends, those who you kind of know, but haven’t seen face to face. Many wonderful new friends richer and with wonderful memories of the great party!